Larchmont Boulevard is more than a street; it is the soul and spine of the surrounding neighborhoods created in the early 1900s when Los Angeles was just coming into its own. Located in the heart of Los Angeles, Larchmont Boulevard is a charming, walkable street running north and south from Third Street to Melrose Avenue that gives residents and visitors the feeling of a small town tucked inside the vast, car-centric city of Los Angeles. 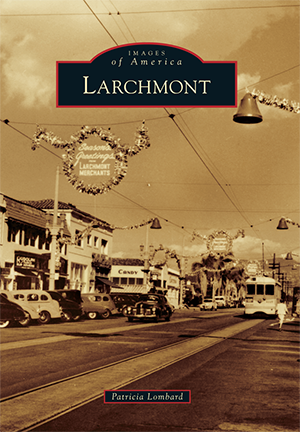 This book tells the story of Larchmont's beginnings in 1921 when the Los Angeles Times reported that developers Julius La Bonte and Charles Ramson had purchased seven lots on Larchmont Boulevard to create a business district of 30 stores between First Street and Beverly Boulevard. The one-block stretch, where a trolley line once ran, is affectionately known as "the village" by locals in the surrounding neighborhoods of Brookside, Citrus Square, Country Club Heights, Fremont Place, Hancock Park, La Brea-Hancock, Larchmont Village, Melrose, Oakwood-Maplewood-St. Andrews, Ridgewood-Wilton/St. Andrews Square, Sycamore Square, Western-Wilton, Wilshire Park, Windsor Square, and Windsor Village. Patricia Lombard, a freelance writer and community activist, is a longtime resident of Fremont Place, where she lives with her family. A great many photographs in this book came from the archives of Larchmont's paper of record, the Larchmont Chronicle, founded in 1963 by Jane Gilman and Dawne Goodwin.